Too often innocent crime victims families in the UK are denied justice. For a change, justice was working in Manchester thanks to the combined quality diligence of police and multi-partnership agencies that ensured a killer received thirty-year prison sentence at Manchester Crown Court, England. Mr Anuj Bidve, was a gifted graduate student with a professional career ahead of him. Kiaran Stapleton from a dysfunctional family background and diagnosis of anti-social personality disorder. The victim had already achieved so much, and the killer, had never achieved anything. The murder was ‘motiveless’. The remorseless performance in court Stapleton shows why society needs to be protected from such psychopathic individuals. In a country reeling from oppressive and chaotic government it is good to know justice can still work in the UK. Well done to all the multi-partnerships teams in Manchester that forged the progress from investigation to sentencing! N-DUBZ’s, Dappy, in his new record has ‘called’ for the release of the murderer of headteacher Mr Philip Lawrence murdered by Leo Chindamo in London 1995. Chindamo breached his (Ministry of Justice) License a few years ago by meeting-up with a gang member, breaching his curfew and failing a breath test. At best this is tacky sales hype, more worryingly is Dappy’s desire to reinforce every negative stereotype about black men! His record company is equally responsible. What an embarrassment and insult!! Will he be rapping for the release of the killers of Mr Stephen Lawrence next? Hopefully, all black people with means will encourage Dappy to withdraw his distasteful and offensive record, soon, and write a personal apology to Mr Philip Lawrence’s widow and children. In turn, he offends all crime victims and decent people. His records should have an embargo until he does so. Dappy would do well to read Malcolm X and Angela Davis about genuine black dignity and social advancement. On the anniversary of the London Bombings Atrocities a blog reminder about the human tragedy, what is the quality of welfare provision and criminal compensation for crime victims in the UK, and my missing handbooks. To All the Courageous Victims and Survivors of the London Bombings, 2005!! In the days after the horror I contacted the Task Force and made an offer, a small gesture. After going before a scrutiny the executives of the Task Force welcomed my offer of free copies (170) of my handbook to be freely distributed to those affected by the bombings. The curious unanswered concern for me is that no one can tell me what happened after they were collected by the police several days after the Bombings, or if, as I fear they were thrown into the Thames. It’s a simple enquiry to a huge public need. Did any one affected by the Bombings get offered a copy of my handbook along with other aids to assist them manage with the horror? It’s strange a silence from those in control of the incident, after an appropriate scrutinized assessment and strong welcome towards my small gesture as Londoner. The only feedback I have ever received over the years since is from two survivors stating “if only we had had some thing like this at the time”. Did they get to the people or were they thrown away? If any of those people affected by the Bombings can help unravel and provide the answer the authorities and agencies cannot I would be interested. My website shows the handbook cover and I may have placed one below this message if I’ve clicked the correct buttons. With Very Best wishes to all of those affected! Prime Minister Cameron continues to reign down his verbal and oppressive, ill-conceived policies of contempt and what appears to be like a war against British people, even the Governor of the Bank of England, Sir Mervyn King has spoken out. Quoted in the London Evening Standard recently. Mervyn King described the behaviour of British banks as “ shoddy and deceitful ” demanding a real change in the banking industry and yet our government fails to listen to its own experts! Mervyn King criticized the “ excessive levels of compensation, shoddy treatment of customers and deception manipulation of one of the most important rates ” (for small business). The banks, including Barclays have continued to fail to understand or care about the struggle of the people of Britain, as has been the case of the government. Britain needs well-regulated banks and a competent government. The mire we are in has been condoned and allowed to continue by government yet they refuse to call an election. This government has never shown the same latitude towards public services and the vulnerable. Imagine if you will a £500 million tax avoidance bill, or giving oneself a giant and inflated pay package for ‘ tax equalization’; imagination how government agencies would you? And yet, still, the British people are routinely punished, and patronized by a government that has failed to deal with these out of control institutions that continue to cause so much misery for so many. This government has repeatedly shown beyond its pomposity it has nothing of value to offer its people and must go. It is also worrying that the collective mood of the British people is so seemingly depressed it does not feel motivated to even demonstrate on the streets its outrage and disapproval against this government; this is worrying! A deflated, brow beaten, weary, bullied nation is an easy to manipulate and control. 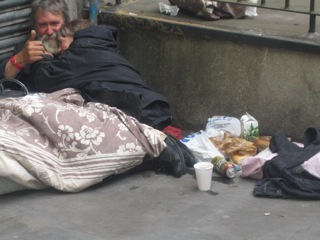 Olympic, Delusional Policy Follies of UK Government continue to batter the struggling people and quality of the lives of the increasing majority and the increasing population of the vulnerable. When you visit the Olympic follies look around at the holes in the roads, trains stuck in tunnels, look at the faces of the British people. Our police and emergency services have been hugely cutback in staff and resources, as has military spending. To keep you feeling safe we’ve got ground to air missiles encircling the city in the event of an attack of course in a thirty-square mile city they may just wipe-out several Londoners! Even the sun cannot be bothered to come this summer!! This government has shown Olympic posturing and grandeur in its consistently unsuccessful policies especially those attacking public services. It has failed to show good government or good policy. This government has won gold for Olympic delusional sham while protecting the banking elite from prosecution and its own involvement in dealing with the elite of the Murdoch empire. Go for it Cameron! Starve the poor, release the dangerously violent and imprison the students, indulge the folly and greed of the banking elite! Beijing – no Britain.